No dining table or dishware collection is complete without the condiment dispensers to spice up that meal. It’s hard to live without a ready salt and paper shaker, or a ketchup and mustard dispenser once you are already used to them by your side while eating. So why stick to the boring kind everyone else has? It’s the time to choose a unique condiment dispenser you love that will reflect your personality, spice up your kitchen and dining décor, and impress your guests. These can also serve as a thoughtful gift for your friends! Hello to science nerds out there! This salt and pepper shakers shaped like lab flasks are the absolute dining companion for making your meal flavorful. Each features a periodic-style symbol to indicate salt or pepper and comes with rubber stoppers on top. The flasks measures around 4 inches tall and 2 inches wide at the base. It’s a great gift for the scientist friend or family member. Want to celebrate your newly-wedded love affair with every little thing? Get yourself this magnetic salt and pepper set that features a kissing bride and groom. This is a perfect decorative yet functional accessory you can put the kitchen countertop of your new home. This set is made of high-quality and food safe ceramic, and are magnetized to stay joined on the lips. It’s about 4” tall. This also makes a cute bridal shower gift or a mini wedding gift for a couple you know – they will surely love it! Love displaying eggs in your counter? This will be a cute and quirky addition to your home décor. This salt and pepper shaker set is designed to look like two brown eggs, plus it comes with a white ceramic holder that looks like a 2-slot egg carton. The eggs are made of porcelain. It looks perfect for a country-style kitchen, and makes a perfect gift for a friend or family who started raising chickens. You can just add a label to avoid mixups! Construct a quirky dining theme with the LEGO salt and pepper set. It’s a supersized, one-stud LEGO brick shaker in black and white that can spice up your kitchen. It can help a picky get excited for eating time (but supervise them – you don’t want them eating too much salt and pepper). And it also makes a great gift for LEGO fans or an adult friend nostalgic about their childhood. Looking for a cheap yet thoughtful gift for a friend who’s a passionate cameraman in your group? 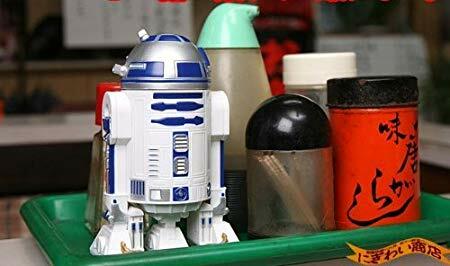 Getting him or her a new camera or a photography accessory can get expensive, but you can still make your friend happy with this $11 salt and pepper shaker set. It features a vintage film roll style and it’s clearly marked as “salt” and “pepper” so the user can avoid mixing it up. Each shaker is 3 ½ inches tall and it’s easy to refill. Let the Avengers assemble the seasonings with this adorable Marvel salt and pepper shaker set. It features a Captain America and Iron Man head made of ceramic, with removable bung in the base for refilling your salt and pepper. It suggests using Captain America for Salt and Iron Man for pepper, but we think you can use it either way you want to – just remember where you put them. It’s a licensed Marvel product so it makes an impressive and unique gift for any Marvel superhero fan! Going out for a picnic at the beach? Or are you looking for a unique accessory for your next summer barbeque party? This condiment holder set will surely meet your needs and add some fun and pizzazz for your party or picnic. This set features a wooden picnic bench condiment holder with holes for storing mustard and ketchup bottles, and salt and pepper shakers (which are all included). It even comes with a fancy umbrella to keep your condiments shaded when you’re out in the sun! You can remove the umbrella though, if you want to use this set indoors. Surely, your picnic mates and your barbeque party guests would keep asking you where you bought it. Want to experience firing up some sauce in your food? This ingenious plastic gun comes with two reusable cartridge bottles in order to dispense condiments of your choice – preferably mustard and ketchup. Simply fill the cartridges with sauce and fill it into the plastic gun chamber, and get ready to fire it up on your favorite food. There’s a cap at the end of the gun to prevent sauce leakage. This provides you a cool and awesome way to serve hamburgers and hotdogs. But be careful when using it with kids though – they might end up using it as a toy! This is why it’s not suitable for use with children under 12 years (because you can’t control children’s imaginations). Here’s an eye-catching ketchup and mustard bottle set. This looks like a simple red ketchup bottle and a yellow mustard bottle at the back, but it features a surprised face with eyes wide open in the front. When you turn over the bottle as you spread the sauce in your food, the eyes close. It will remind you of your blinking baby dolls when you were younger! Each bottle holds 12 ounces of sauce, and these are made of food-grade PET plastic. It’s a great bottle to show your guests your unique sense of humor.